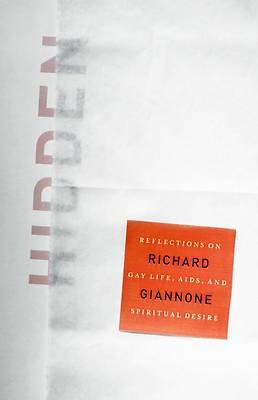 Hidden--Richard Giannone's searingly honest, richly insightful memoir--eloquently captures the author's transformation from a solitary gay academic to a dedicated caregiver as well as a sexually and spiritually committed man. Always alone, always fearful, he initially resisted the duty to look after his dying female relatives. But his mother's fall into dementia changed all that. Her vulnerability opened this middle-aged man to the love of another man, a former priest and Jersey boy like himself. Together the two men saw the old woman to her death and did the same for Giannone's sister. In Hidden Giannone uncovers how, ultimately, these experiences moved him closer to participating in the vitality he believed pulsed in the world but had always eluded him. The mothering life of this gay partnership evolved alongside the AIDS crisis and within and against Italian American culture that reflected the Catholic Church's discountenancing of homosexual love. Giannone vividly weaves his reflections on gay life in Greenwich Village and his spiritual journey as a gay man and Catholic into his experience of caring for the women of his family. In Hidden Giannone recounts a gripping religious conversion, drawing on the wisdom of the ancient desert mothers and fathers of Egypt and Palestine. Because he was raised a Catholic, the shift is not from nothing to something. Rather, it is away from the modeling power of institutional Christianity to the tempering influence of homosexuality on the Gospel. Gay or straight, so long as we remain hidden from ourselves, the true God remains hidden from us.